A dermatologist is a physician who is trained to evaluate and treat children and adults with benign and malignant disorders of the skin, hair, nails and adjacent mucous membranes. 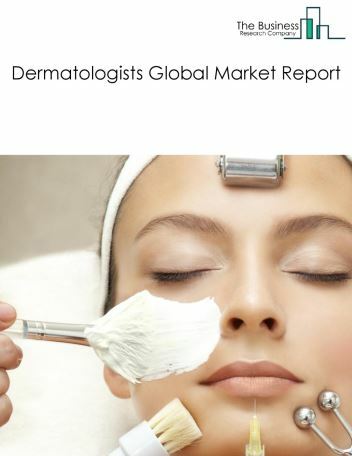 The global dermatologists market was valued at $37.2 billion in 2017. North America was the largest geographic region accounting for $17.7 billion or 47.5% of the global market. The USA was the largest country accounting for $14.9 billion or 40% of the global dermatologists market. Daylight photodynamic therapy (PDT) is one of the major trends in this market. Developed a field therapy for photo damaged skin and precancerous skin conditions, Daylight PDT delivers continuous, low-level activation of protoporphyrin IX rather than the faster activation achieved with pulsed dye laser or other artificial light sources painlessly. The companies covered are Alma Lasers Ltd., Cutera Inc., Cynosure Inc., Lumenis Ltd., and Valeant Pharmaceuticals. The dermatologists market is segmented into Dermatopathologists, Pediatric Dermatologists, Immunodermatologists, and Cosmetic Dermatologists. Dermatopathologists are health practitioners who after completing their training and education deal with study of cutaneous diseases at microscopic and molecular level. Pediatric Dermatologists are health practitioners who after completing their training and education deal with skin, nails, hair and its diseases in kids. Immunodermatologists are health practitioners who after completing their training and education deal with diagnosis and treatment of many diseases affecting epithelial organs including skin and oral, genital, and ocular mucous membranes, gastrointestinal and respiratory tracts. Cosmetic Dermatologists are health practitioners who after completing their training and education deal with assessing and treating skin conditions cosmetically. 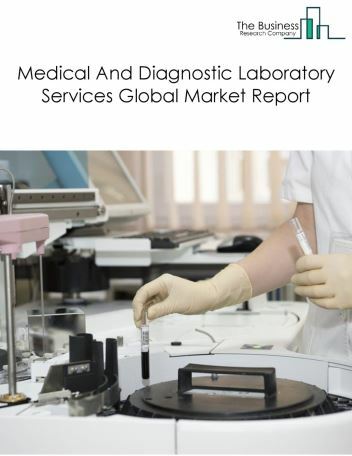 The medical and diagnostic laboratory services market consists of sales of medical and diagnostic laboratory services and related goods by entities (organizations, sole traders and partnerships) that provide diagnostics tests for various diseases. This industry includes CT scan centres, X- ray centres and other clinics that undertake disease diagnosis. 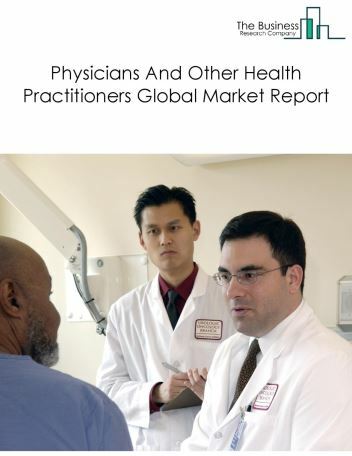 The physicians and other health practitioners market consists of sales of physician and other health practitioners' services and related goods by entities (organizations, sole traders and partnerships) that provide medical care services. This industry includes specialist doctors such as psychiatrists, psychologists and others that provide palliative care, treating psychosomatic disorders, mental disorders and others. It also includes primary care doctors and other physical therapists providing treatment in therapy areas such as cardiology, dermatology, neurology, gynecology, anesthesia and others. 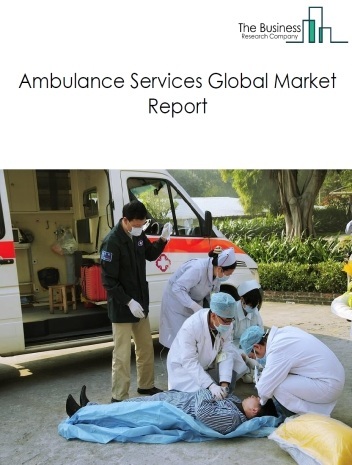 The ambulance services market consists of sales of ambulance services and related goods by entities (organizations, sole traders and partnerships) that provide ambulance services. This industry includes agencies that provide emergency access to healthcare in response to emergency calls, urgent doctor admissions and emergency hospital transfers. 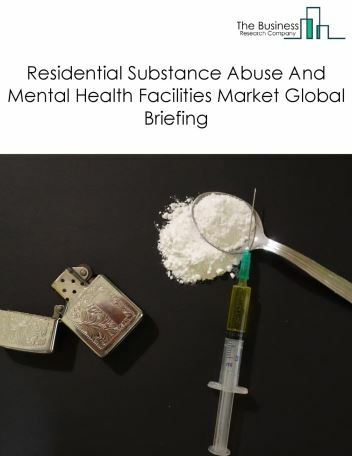 Residential substance abuse and mental health facilities provide medical services, room, board, supervision and counseling services to patients suffering from mental illness or substance abuse. The home health care providers offer services to adults, seniors, and pediatric clients who are recovering after a hospital or facility stay, or need additional support to stay at home. Home health care is usually less expensive, more convenient, and provide services similar to skilled nursing facilities in hospital. These services include feeding, health aid services, personal care, physical therapy and other basic assistance services. 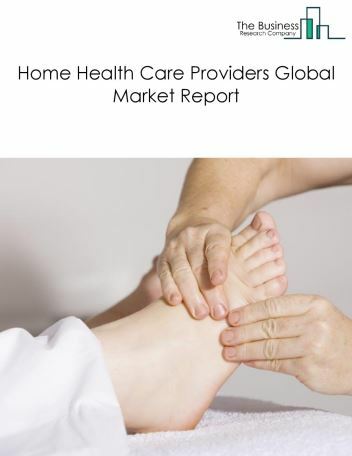 The global home health care providers market was valued at $373.6 billion in 2017. North America was the largest geographic region accounting for 42% of the global market. The USA was the largest country accounting for 36% of the global home health care providers market. Home health care providers are accessing latest technologies in order to improve care while lowering costs. This include wearable technologies used in combination with GPS to afford a patient more mobility and provide the caregiver constant information on the patient’s condition. And virtual assistant devices are integrated to allow the patients to perform routine tasks with live streaming video chats. There are many other technologies such as wireless security, remote doctor visits, medication monitoring and artificial intelligence increasing their presence in homecare services. St. Jude Medical Inc. announced results in 2015 showing that patients with cardiac devices who use remote medical monitoring required fewer hospitalizations and lower medical costs compared with patients who did not have this technology at home. The nursing care facilities offer long term and short-term care for individuals who need rehabilitation services or individuals who suffer from serious or persistent health issues. These establishments provide traditional nursing services and the other is skilled nursing services. 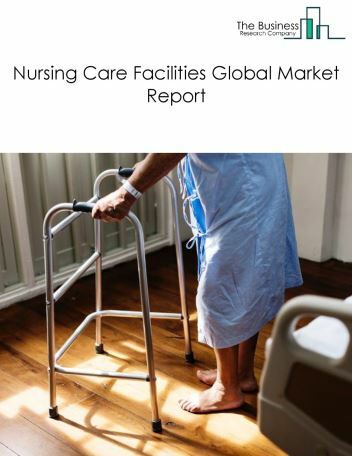 The global nursing care facilities market was valued at $238 billion in 2017. North America was the largest geographic region accounting for $98.7 billion or 41.5% of the global market. The USA was the largest country accounting for $86.1 billion or 36.2% of the global nursing care facilities market. Smart technologies like wireless network technology are increasingly being used for medical residents in modern nursing care facilities. These technologies allow the residents to gain instant support from their caretakers. For example, Covidien has introduced a wireless device called BioPatch which continuously collects a patient’s physiologic data and monitors all vital body functions. Diagnostic imaging centers generate diagnostic images of patients who are referred by health practitioners. They produce various types of radiologic and electromagnetic images using X-rays and ultrasound equipment to obtain information about the health of a patients pertaining to diagnosis, treatment and prevention of disease. These centers include computer tomography (CT-scan) centers, medical radiological laboratories, dental or medical X-ray laboratories, ultrasound imaging and MRI imaging centers. 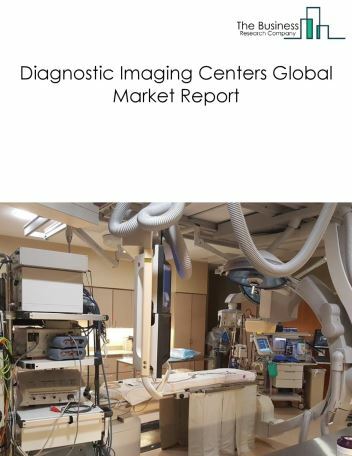 The global diagnostic imaging centers market was valued at $70.9 billion in 2017. Asia Pacific was the largest geographic region accounting for $26.5 billion or 37.5% of the global market.The USA was the largest country accounting for $16.9 billion or 23.9% of the global diagnostic imaging centers market. Radiology information system is increasingly being used due to its efficient capability of management of patient’s data and imagery and associated data. It is an integrated software system used to majorly track radiology imaging orders and billing information, along with managing data, appointments, patient’s medical history. 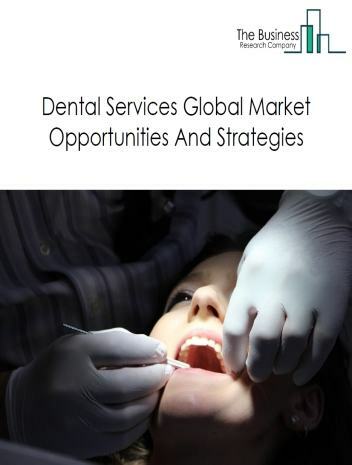 Dentists are health practitioners who operate private or group practices in their own premises or in other facilities such as hospitals or health maintenance organization (HMO) medical centers. They provide dental preventive, cosmetic maintenance and/or emergency care. They might also specialize in a single field of dentistry.